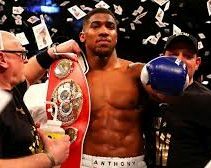 Sky Sports Box Office will show Anthony Joshua defend his world heavyweight titles against Kubrat Pulev on October 28th. The bout follows on from two pay-per-view events on Sky Sports Box Office this year; Joshua v Wladimir Klitschko in April and last month’s clash between Floyd Mayweather and Conor McGregor which generated a record number of buys across Sky’s outlets. This is Joshua’s first fight since his victory over Klitschko at Wembley Stadium where he survived a knockdown and 11 brutal rounds to claim a career-defining win. The Sky Ambassador will defend his title against Bulgarian boxer Pulev when the pair meet at the Principality Stadium in Cardiff. Pulev has tasted defeat just once in his professional career – against Klitschko – back in 2014. AJ meanwhile will be gunning for his 20th professional win.